The more compact the space is, the more design forward it should be. Pay attention to every detail, from light fixtures, to color palette, mirror and hardware because everything is in close quarters. If you don’t have enough storage, try a series of small open shelves on a bare wall. Use baskets and containers to organize the small things. Typically, the wall behind the toilet is empty. Go as high as you want on the wall and use a step ladder for easy access. 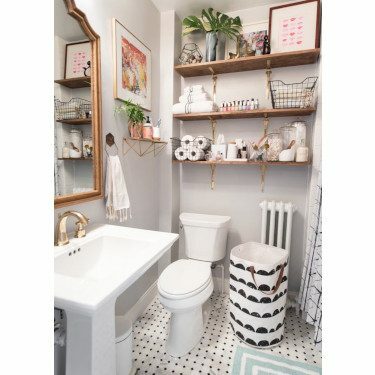 Place a decorative tray and/or basket on top of the toilet to create extra counter space. Now you can store your display-worthy toiletries, candles, or flowers on your new counter space. Don’t be afraid to ever go bold! 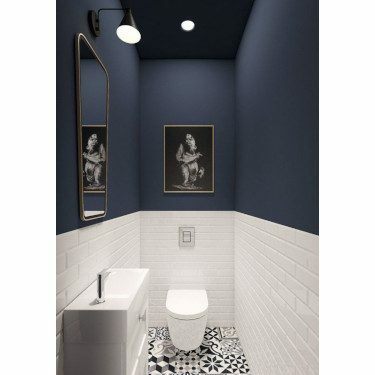 Sometimes there is no way of hiding the small space, so embrace its’ size. 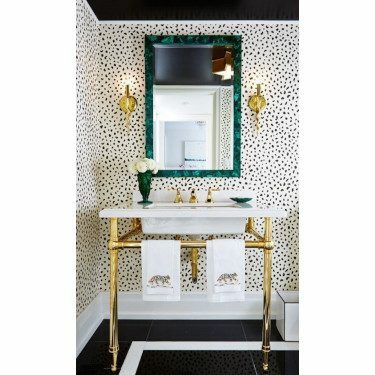 Create a huge impact by using big, bold patterns or a moody color palette. 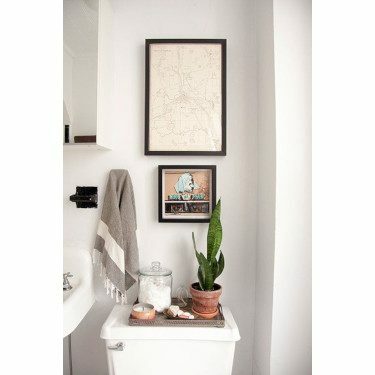 Plants or a small vase of flowers brings life to any space, big or small, so why stop at the bathroom? 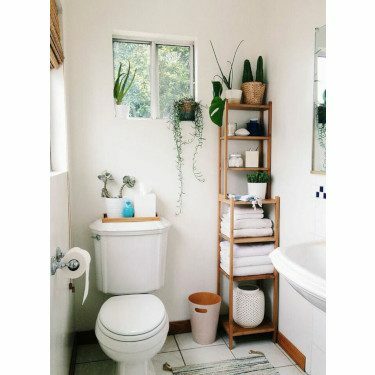 Plants that requires low light and humidity are perfect for the bathroom. 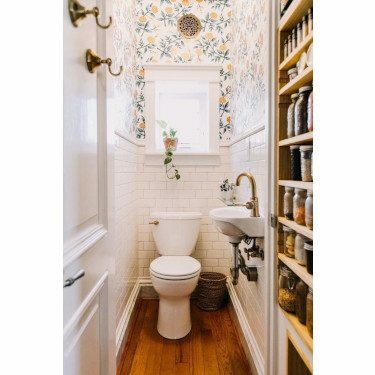 You’ll immediately see what an impact a small vase of flowers can do for your tiny bathroom.